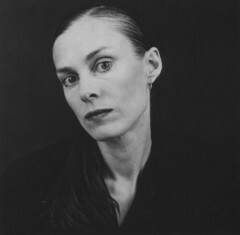 Lucinda Childs began her career at the Judson Dance Theater In New York in 1963. Since forming her dance company ten years later, she has created over fifty works, both solo and ensemble. In 1976 she was featured in the landmark avant-garde opera Einstein on the Beach by Philip Glass and Robert Wilson, for which she won an Obie Award. She subsequently appeared in a number of Wilson’s productions, including I Was Sitting on My Patio This Guy Appeared I Thought I Was Hallucinating, Quartett by Heiner Muller, Wilson and Glass’s opera White Raven, Wilson’s video project Video 50, and Maladie de la Mort by Marguerite Duras (opposite Michel Piccoli). Most recently, she appeared in Wilson’s production of Arvo Part’s Adam’s Passion and also recorded spoken text and collaborated on the choreography for Letter to a Man, which was based on Nijinsky’s diaries and performed by Mikhail Baryshnikov. 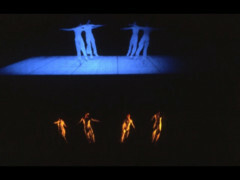 In 1979 Childs choreographed one of her most enduring works, Dance, with music by Philip Glass and film décor by Sol LeWitt, which continues to tour internationally and has been added to the repertory of the Lyon Opera Ballet, for which she has choreographed Beethoven’s Grande Fugue. 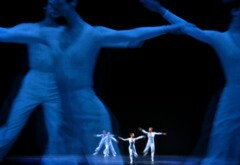 In 2015 she revived Available Light, created in 1983 with music by John Adams and a split-level set by Frank Gehry. 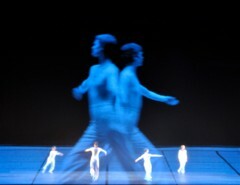 It was presented at the Festival d’Automne in Paris and the Manchester International Festival. 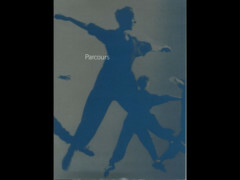 In 2016, in an exhibit titled “Nothing Personal,” her choreographic scores were shown at the Thaddeus Ropac Gallery in collaboration with the Centre Nationale de la Danse, to which she has donated her archive. Since 1981 Childs has choreographed over thirty works for major ballet companies, including the Paris Opera Ballet and Les Ballets de Monte Carlo. She has also directed and choreographed a number of contemporary and eighteenth-century operas, including Gluck’s Orfeo ed Euridice for the Los Angeles Opera, Mozart’s Zaide for La Monnaie in Brussels, Stravinsky’s Le Rossignol and Oedipe, Vivaldi’s Farnace, Handel’s Alessandro, and John Adams’s Dr. Atomic for the Opera du Rhin. Her production of Jean Baptiste Lully’s Atys premiered at Oper Kiel in 2014 and her production of Jean-Marie Leclaire’s Scylla and Glaucus premiered there in 2017. In November, Childs's company will perform some of her early work as part of the exhibition Judson Dance Theater: The Work Is Never Done at the Museum of Modern Art in New York. Childs is currently working on a solo evening for dancer Wendy Whelan in collaboration with cellist Maya Beiser to music ("The Day" and "World to Come") by David Lang. The new work will premiere in 2019. Childs is the recipient of numerous awards. She holds the rank of Commandeur in France’s Ordre des Arts et des Lettres and in 2017 she received the Golden Lion award from the Venice Biennale and the Samuel H. Scripps American Dance Festival award for lifetime achievement. She was recently inducted into the Hall of Fame of the National Museum of Dance in Saratoga Springs, New York, where an exhibition of her work has been installed.